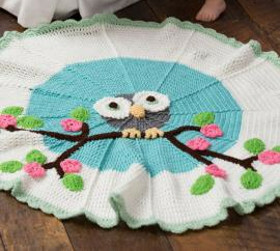 30+ Quick and Easy Crochet Baby Blanket Patterns  – These adorable afghans are great for baby showers, baby birthdays, or even for the holidays. 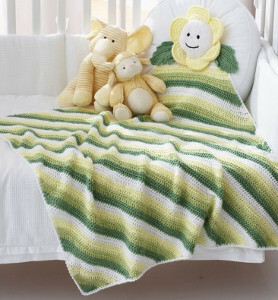 Whenever you need to work up a crochet baby blanket, this collection has just what you need! 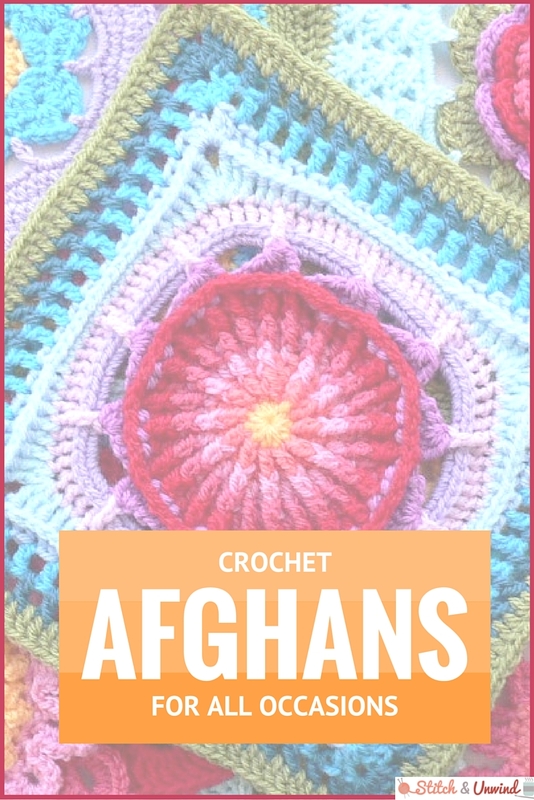 52 Crochet Afghan Patterns Using the Popcorn Stitch, Bobble Stitch, Puff Stitch, and Cluster Crochet Stitch  – If you’re looking to change up your crochet with a fun stitch, give this collection of crochet afghan patterns a look! You’ll find all of our best afghan patterns using a variety of stitches to keep things exciting. 24 Easy Crochet Granny Square Patterns  – Granny squares are the fun and portable way to make a crochet afghan, one piece at a time. Find all of our favorite (and easiest) granny square patterns in this collection! 14 Crochet Basketweave Afghan Patterns  – You can’t go wrong with a classic basketweave afghan. This design always looks great and adds a fun texture to your crochet projects. 26 Tunisian Stitch Crochet Afghan Patterns  – If you’ve always loved the look of Tunisian crochet, now’s your chance to find the afghan pattern of your dreams. These 26 patterns will show you how to crochet a Tunisian stitch afghan in no time flat! What’s your favorite kind of afghan to make?